We think a slow clap is in order. 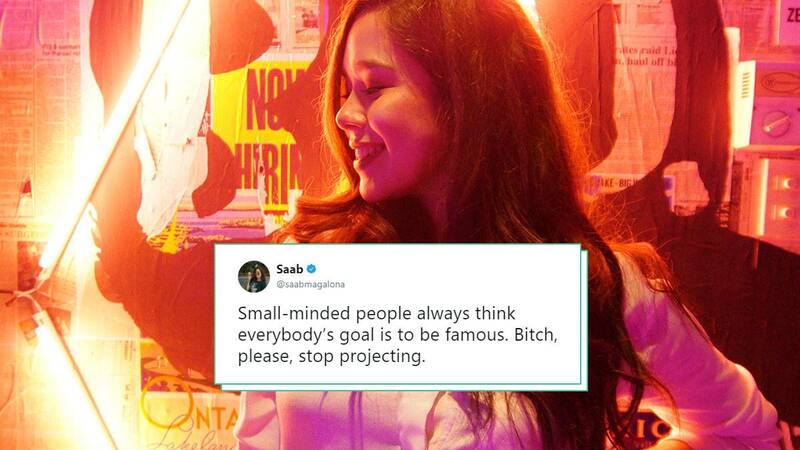 Actress-blogger Saab Magalona recently took to Twitter to express her frustration over tabloid writer Rey Pumaloy's inappropriate article about a bikini pic she shared on Instagram. The 29-year-old mom-to-be quickly called out the Abante columnist by tweeting, "GROSS. Women don't post photos para magmukhang 'katakam-takam' o 'malinamnam' para sa mga lalaki!!!" Saab stood up against the evident sexualization the writer directed over her OOTD post that "normalizes this way of thinking" that "women are just meat." These caught Saab's attention when one of Rey's posts was screenshot and posted on Twitter.